The selection of superintendent of schools is probably the most important decision a board of education will ever make. Fortunately, it is not a decision that must be made very often so consequently, very few boards become experienced in the process of conducting a superintendent search. Selecting a superintendent is a very time consuming and expensive process, therefore, several important decisions must be made immediately when the vacancy becomes official. With this in mind, New Mexico School Boards Association offers the following suggestions for the consideration of boards who find themselves faced with the duty of employing a new superintendent. One of the first questions a board should ask: Is there one or more people within the district who should be considered before conducting an extensive search? If the board agrees that outstanding candidates are within the district and they are confident that one of them will be the ultimate selection, then a lot of time and expense can be saved by considering only those people. If the answer to the first question indicates that the search should include candidates from outside the district, the next question is: Does the board wish to employ a consultant to assist in the search? 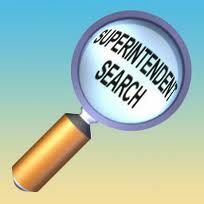 As was mentioned earlier, the process of searching for and selecting a superintendent can be very time consuming; therefore it is suggested that the board consider employing a consultant. A consultant can help outline the procedures that are necessary; assist with the advertising; help identify candidates who can fit the needs of the district; provide the secretarial service; assure confidentiality; assist in preliminary screening; assist in developing a system for investigating semi-finalists; assist in the preparation of an interview format and arrange an interview schedule; assist in developing a process for making the final decision. Many boards feel that it is appropriate to involve employees and parents in some fashion in the search process. This can be done in a variety of ways and still fully protect the boards right and responsibility to make the final decision. A consultants guidance in considering this issue can be especially valuable. For a board that does not feel that it can devote the necessary time to adequately perform all the necessary tasks that are involved, the consultant can prove to be a very important asset. The New Mexico School Boards Association offers a superintendent search service on a contract basis and would be happy to discuss the service with the board. If the board wishes to employ a consultant other than the one provided by NMSBA, the staff of NMSBA would be happy to assist the board in locating one. If the board decides not to employ a consultant to assist them, the following is provided as a suggested do-it-yourself guide for the selection of a superintendent. The board should meet immediately after the vacancy is made official and start the search and selection process. At this meeting it is important to adopt a calendar of events that will lead to the selection of the new superintendent. The calendar of events should be an orderly, detailed, step-by-step procedure that includes duties, dates, times and assignments. The following outline is presented as a suggested guide to assist the board in performing the many and varied tasks that are necessary. It must be emphasized that this outline contains suggestions only and that it is incumbent upon each board to tailor a selection process to meet the needs of the school and community. It must also be emphasized that this outline is not all inclusive and does not intend to cover every possible aspect of the superintendent search and selection process. Please call on NMSBA if we can assist in the process in any way.